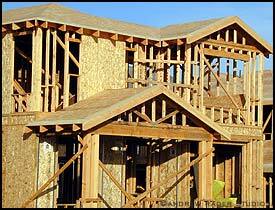 Las Vegas Real Estate Blog: National Housing Starts Slump - So, what about Las Vegas? National Housing Starts Slump - So, what about Las Vegas? National reports today announced a decrease in housing starts similar to numbers in 2003. They are down 6% in August to set an annual pace of 1.665 million units compared to the revised 1.772 million in July. The government keeps an eye on the pace compared to other factors like inflation and will act according to need with interest rates. U.S. single-family starts are down as well coming in similar to early 2003. "The report came a day after an industry survey showed that home builder optimism sank for the eighth straight month in September to the lowest level in more than 15 years. The closely watched National Association of Home Builders’ index of homebuilder sentiment declined 3 points in September to 30, the lowest since February 1991, when the economy had slipped into recession." The Las Vegas Market fits this report as builders continue to give incentives in a saturated market. This trend likely won't affect the valley long term. An interesting report by Channel 3 regarding fuel consumption and valley growth provided some insite. They claim the Las Vegas Valley will add 50% population growth in the next decade. Their point was supported by industry analyists looking into the demand on current fuel lines built in the 1960's for motorists and the McCarran International Airport. Currently, 1 line brings auto fuel and 1 brings Jet fuel. The McCarran uses some 1 million gallons of fuel per day. Both fuel lines will be at capacity by 2009. Industry analysts understand the impact a fuel cap would have on the ever growing tourist business as well as the residential impact. According to market statistics, the valley growth is slowing. So, what does it take to grow 50% over the next decade? Currently, there are around 1.8 million people in the valley. 900,000 people will need to be added to the valley in 10 years. That means that 90,000 net residents will relocate into the Las Vegas area. 7,500 people are added on average per month. So, if the market is slow now analysts expect quite a spike again to make up the difference. So, what does this mean? According to the numbers and trends right now is a great time to own Las Vegas property. Sellers are very negotiable. The future indicates significant growth. And now is a great time to buy! Contact a Las Vegas real estate agent today!